One of my favourite scenes in Good Wives is Calls where Jo reluctantly pays social calls with Amy and wickedly imitates May Chester’s gushing conversational style. This results in trouble for Amy in the subsequent chapter Consequences where she helps out with the art stall at the Chester’s fate and pays the price for Jo’s thoughtlessness. Those who find Little Women sentimental may be surprised at Alcott’s brilliance at dialogue and social satire in these chapters. I’ve just re-read Little Women and Good Wives recently and found it as fresh and charming as ever. I took a little trip to Heffers in Cambridge last week. There is something magical about Cambridge in winter with its cobbled streets lit up for Christmas and the great colleges against the skyline. I was looking for a biography or collections of Alcott’s letters but couldn’t find anything so I bought Meg, Jo Beth and Amy - The Story of Little Women and Why it Still Matters by Anne Boyd Rioux. It contains some fascinating facts about the life of Louisa May Alcott. She wrote most of Little Women in 10 weeks(!) at the requests of her publisher who wanted a book for girls. I was interested in the scenes that were cut from the original manuscript of Good Wives - Amy visiting a casino in Europe, Amy having more than one suitor and Laurie passionately kissing Jo when he proposes to her! Rioux goes into extensive detail about the film, television and theatrical adapations of Little Women which I am not particularly interested in but it’s an enjoyable read. Do you love Little Women? There were eleven full-time employees at Rent-a-Back. That meant nine people that I knew of had New Year’s plans. And these were not particularly successful people. Several might be looked upon as losers. Anne Tyler’s charming novel A Patchwork Planet begins with a package delivered on a train to Philadelphia the day before New Year’s Eve and ends pretty much the same way. Barnaby Gaitlin is probably Tyler’s most attractive underachiever. His teenage penchant for breaking into neighbourhood houses to steal tiny mementos and rifling through photo albums results in a spell in a reform school for rich boys. Now almost thirty, he refuses to join the family firm and works for Rent-a-Back shifting furniture and doing odd jobs for the elderly and housebound. When they all set their heels together and pointed their toes sideways, she was the only one with no space showing between her thighs. When he unpacks the Christmas decorations belonging to an old lady consisting of faded paper chains and a bent home-made aluminium star with no matching points he is overwhelmed with sadness and remembers why some of his workmates can’t stay in the job. There is much comic relief though particularly in the dialogue between Barnaby and Martine, his Rentaback sidekick, who despite her petite stature, talks tough and drives the truck and the farcical plot involving a substantial sum of money hidden and retrieved in a flour bin more than once. There is also one of Tyler's notorious family mealtimes at Thanksgiving where Barnaby's mother - a woman with something 'glittery and overwrought' about her excels herself in unpleasantness. This is a lovely seasonal read. What is your favourite Anne Tyler novel? 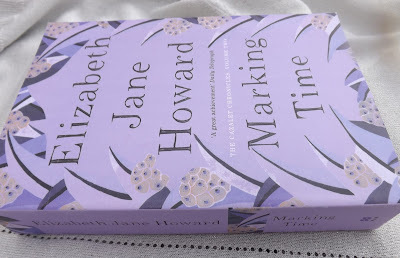 I’m racing through Elizabeth Jane Howard’s Cazalet novels quite unable to put them down. I’ve almost finished the third volume Confusion and I’m so invested in the characters now that I can’t wait to find out whether Polly will find love, Villy will kick her cheating husband into touch, Louise will resume her passion for acting and Clary’s father will ever return from capture in France. Home Place, the Sussex country house with its familiar and comforting routines provides sanctuary for various generations of the Cazalet family amidst the hardships of wartime. Tennis tournaments are played while bombers fly overhead, lemons and sugar are nowhere to be found, clothing coupons are used on rare shopping trips to Liberty and Peter Jones in London and passengers arriving on the Sussex trains have to count the stops and guess which station they are at because of the blackouts. And what will become of the wonderful Miss Milliment? The elderly governess of great intellect and gift for teaching. Despite her unfortunate appearance and lonely life lived in abject poverty she always advocates education for girls. 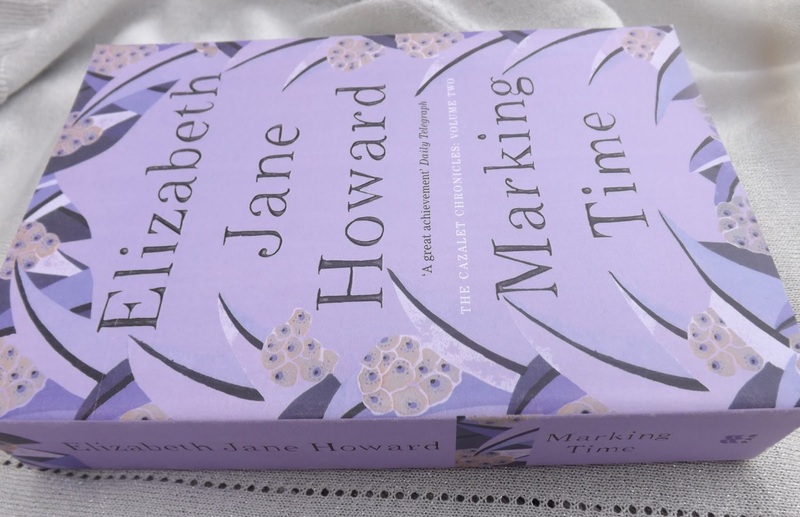 Elizabeth Jane Howard has a remarkable ability to portray three or four generations of the Cazalet family and their domestic staff and wider networks of friends and make them all seem vivid and real. There are lots of affairs and extra-marital relations perhaps as a reaction to the constant fear of bombs and the advance of Hitler. Good to see that the first volume The Light Years is now a Picador classic and good to know that I still have two more books this series to come. Do you love The Cazalets? Dorothy L Sayers was one of the first generation of women to receive her degree from Somerville College in Oxford. 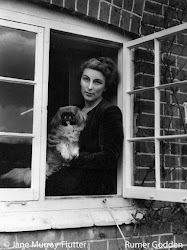 She described her Oxford days as her happiest and created a fictional women's college for her greatest novel Gaudy Night which provides a fascinating insight into what life must have been like for female academics in the 1930s. Pre-occupied by the life of the mind, the female dons only concern on a more mundane level is how to stop the undergraduates sunbathing in only 'a brassiere and a pair or drawers' on the Quad. That is until the college is troubled at night by what appears to be a poltergeist who sends poison pen letters and leaves an alarming effigy in an academic robe hanging in the library. When Harriet Vane visits her old alma mater for the gaudy (an Oxford alumni celebration) she is asked to stay on and investigate the poison pen letters. Harriet's only real experience is as a writer of detective novels, but the college is anxious to avoid publicity, particularly as it appears that the poison pen is a member of staff. When Harriet feels that events are getting beyond her control she calls in her friend Lord Peter Wimsey. It is thought that Dorothy L Sayers had fallen in love with her main character the infamous Lord Peter Death Bredon Wimsey. Monocled blue-blooded aristocrat and amateur sleuth. Discovered to be a brilliant all-round natural cricketer at Eton. Accomplished musician who read History at Balliol. A man of sensitivity who was mentally scarred by the Great War and regularly proposes to Harriet - he manages to get all the female dons in Gaudy Night in a flutter, too! It has to be said that the dialogue in Gaudy Night has dated and there is also class snobbery, but it is still my favourite novel and full of memorable scenes and imagery including the 'poltergeist' running through the college at night switching all the lights off, the antique ivory chess set purchased by Peter for Harriet and the memorable final scene where Harriet and Peter sit on a turret at the top of the Radcliffe Camera gazing out over Oxford shining after the rain. Jane Austen’s letters clearly weren’t written with one eye on posterity so it’s always a slightly uncomfortable experience reading them. As Anne Elliot ponders in Persuasion 'no private correspondence could bear the eyes of others.' This beautifully presented Bodleian Library publication is edited by Kathryn Sutherland and includes intriguing analysis of the way the letters were folded, sealed and cross-written along with examples of Austen’s exquisite handwriting. Austen’s letters consist largely of domestic concerns, whinges about the weather, shopping, gossip about relatives and acquaintances and then you suddenly come across a concise observation which reminds you what a great writer she was. Of course, in 1813, Pride and Prejudice was about to be published and her growing exuberance about her 'own darling Child' is charming to read. Planning to re-read any Austen over the summer? I've spent this rainy Easter weekend re-reading The Secret History, Donna Tartt's wonderful dark story of the undergraduates who take their studies in Ancient Greek a little too far when they re-enact the bacchanal. 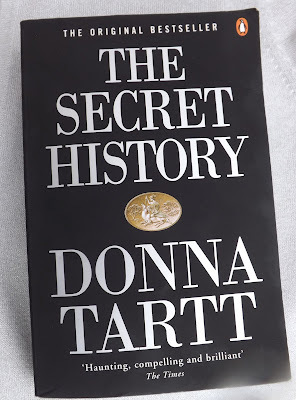 The narrator is Richard Papen, an outsider at an elite liberal arts college in Vermont who falls in love with the wintery landscape and becomes enthralled by a group of five students; Bunny, Henry, Francis, and twins Charles and Camilla who study Ancient Greek with charming Classics professor Julian Morrow. The classes are only open to students personally selected by Julian who doesn't take a salary and teaches in a classroom full of flowers. They dress in a classic English style in quality fabrics, write with old-fashioned pens and exude a cerebral dark glamour. The novel is relayed retrospectively by Richard in the manner of the unnamed narrator in Daphne Du Maurier's Rebecca and this works to great effect. Like Rebecca, too, nobody is particularly likeable or trustworthy in The Secret History. Richard believes he is accepted into the group and begins to study with them and spend weekends at an isolated country house belonging to Francis, but he is unaware of their occasional nightly intoxicated rampages across the countryside based on the ecstatic elements of Greek Dionysia. Since reading Caroline Fraser’s brilliant biography of Laura Ingalls Wilder over Christmas I’ve been racing through the Little House books which I didn’t read as a child, although I did see the television series which I now know is very different to the books. It’s interesting that the first books are clearly written for children but when you get to the fifth book The Long Hard Winter and Laura reaches adolescence they take on a more sophisticated tone, unlike, say The Little Women books which become sentimental after Good Wives. These Happy Golden Years is the last of the original six books and Laura is now teaching school aged 15(!) in order to pay for her sister Mary to study at a college for the blind in Iowa. Although not fond of teaching she acquits herself very well and controls the naughtiest boy in the class when he pins a girl’s braid to the desk. The twelve mile journey to the school across the snow-covered prairie in below freezing temperatures is tempered by Almanzo Wilder who has taken a shine to Laura and drives her in his sleigh and takes her home at weekends so she doesn’t have to stay with the troubled Brewster family. Ma finally puts her foot down when Pa gets restless and suggests moving on again. The poor woman has travelled in a covered wagon - often pregnant - from Wisconsin through Minnesota and endured the hard Dakota winters. Charming though Pa is I suspect it was really Ma who held the family together. When Almanzo proposes to Laura, Ma helps Laura to make her wedding trousseau and advises her to include a black cashmere dress ‘Every woman should have one nice black dress.' When the wedding has to be bought forward there is no time to make a wedding dress and Laura marries in the black cashmere. Married at eighteen, Laura’s childhood is over. She lived through a unique period of American history and never forgot it, but it is Laura’s character, her bravery, kindness and pioneer spirit which makes the books so charming. I'm Nicola. Mother of grown-up daughters and reader of books. Janeite.